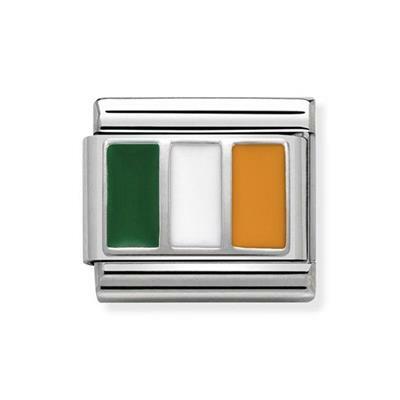 Wear your heart on your sleeve with this fabulous Ireland flag charm from Nomination. The perfect gift for any sports fan! Made from Stainless Steel with Sterling Silver and Enamel detailing, will fit any classic Nomination bracelet.